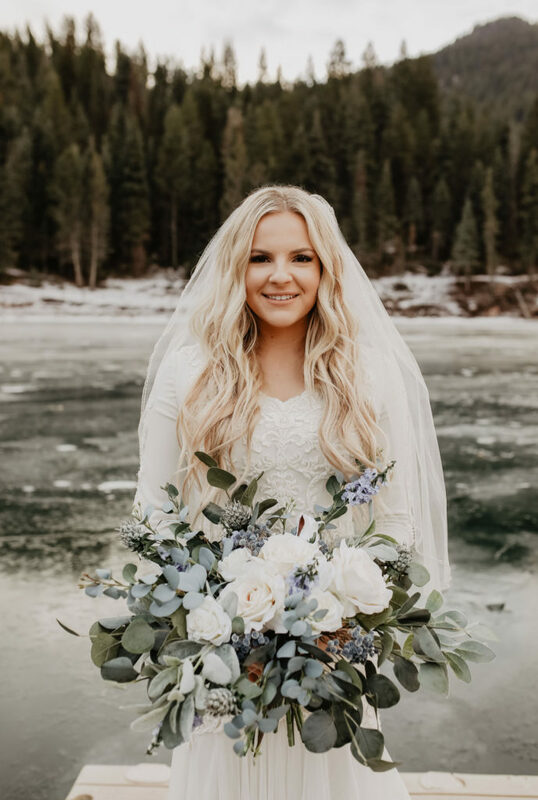 Meet our Bitsy Bride, Tatum. 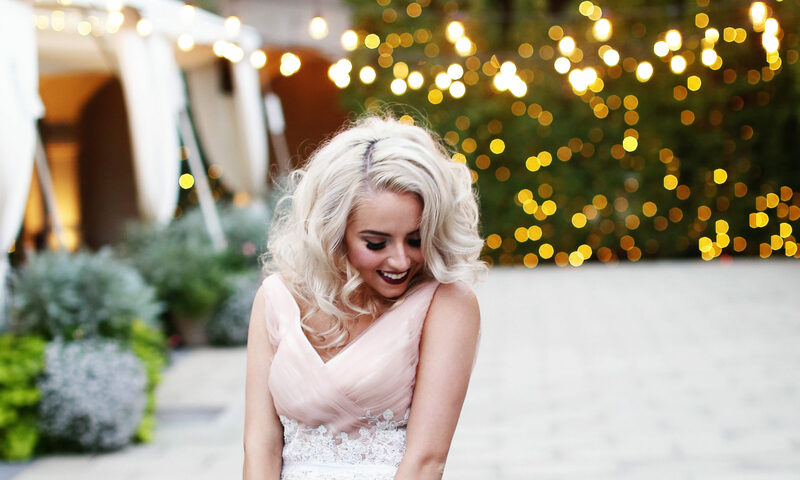 This wonderful bride wore Beaumont by Wtoo. Wtoo has the same design integrity of Watters, but at a price your budget will thank you for. Tatum took this gown and had it customized to make it modest with our in-house alterations team. 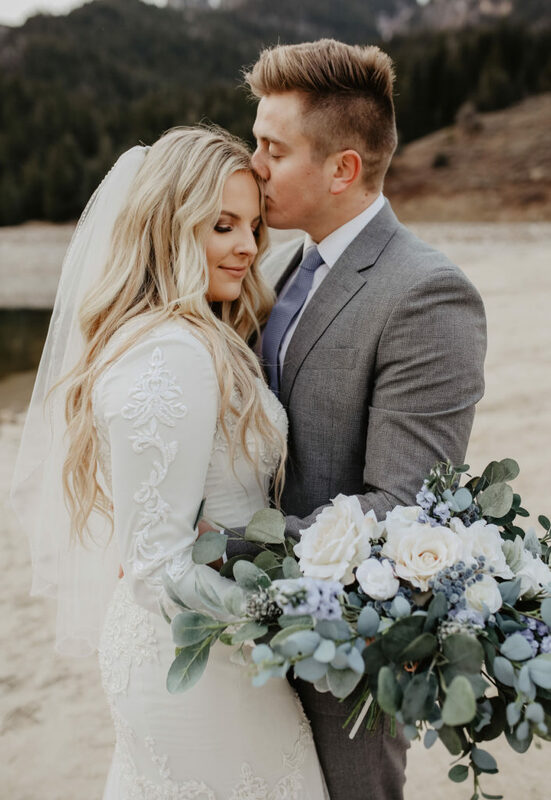 This gown began has a strapless beaded beauty, but with the hard work of our seamstress we were able to make Tatum’s vision of long sleeves come to life. Our seamstress created a custom neckline and sleeves for Tatum to build upon the strapless look. She then filled in the top with lining and appliqués to create a continuous look. She finished by hand beading all of the new work to create a one of a kind modest dress. 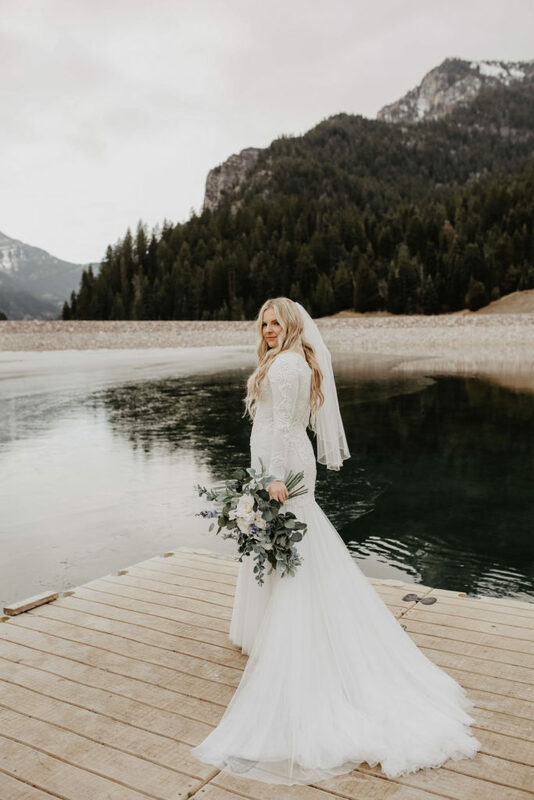 Take a look at how gorgeous Tatum looks in this gown in her photos by Summer Taylor Photography. 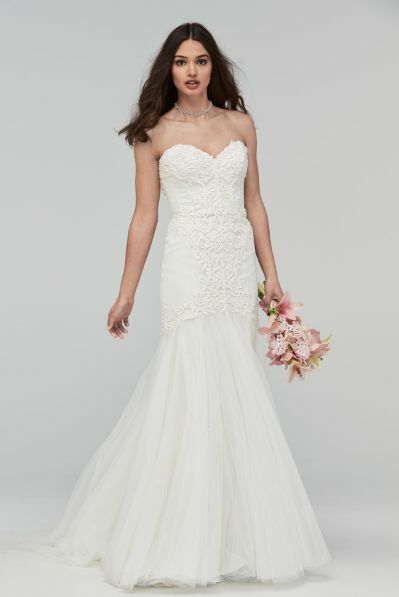 Schedule an appointment to see the original gown, or to discuss how to make your modest vision come to life.